At the risk of turning into Engadget, I just have to say that I want one of these. And I mean really really want. But calling it a phone is a bit like calling a desktop PC a word processor. Aside from being a true mobile computer which leaves the iphone for dead, it is powered by a completely uncrippled, unrestricted Linux distribution – Maemo 5 (which was released just 4 days ago, announcement here, more at gsmarena.com). This means there is no need to “jailbreak” your phone to run the applications you want – you are encouraged to do with the hardware whatever you like. There is no one whose permission you have to ask to write or install software on Maemo, you can just do it. Unlike Android, Maemo runs native code which should theoretically allow higher performance. Currently my phone is a Nokia N78, a nice and simple Symbian S60 device. I call it a phone too, as while it can do other things, it’s primarily a cell phone and the interface is geared that way. Symbian has served us well, but was conceived in a time where phones and PDAs had a pretty narrow range of use cases, and it shows. Now days the traditional cell phone has evolved into a general purpose computing device, and this requires a much more powerful operating system. In my opinion the N900 is a huge step towards the future of computing. Maemo devices won’t be replacing desktop PCs any time soon, but this is a huge step towards it happening, and many people have no need for anything beyond the capabilities of this device. The release is set for October, and assuming the price is in line with previous Nokia tablets I’ll probably get one fairly quickly. 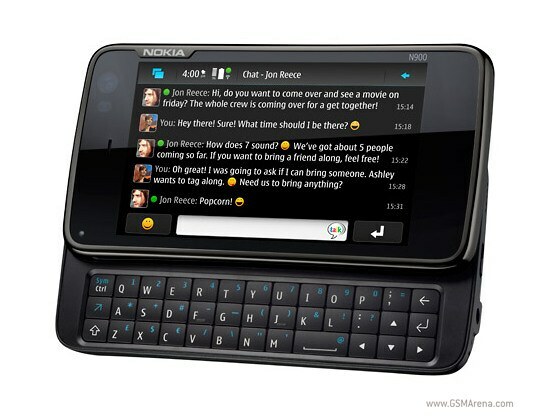 The N800 was already a solid if somewhat “nichey” product, and its main limitation was the lack of 3G / cell wireless. So given these ingredients, how could Nokia stuff this up? Skype was supported on the N800, but its last update was December 2007. It could be the killer app for these devices, which will finally relegate network operators to the dumb pipes they should be. But if we see it blocked again as it was for Symbian, or crippled to only work over wifi as on the iphone, there’s always Google talk. This entry was posted in General and tagged maemo, n900 on August 31, 2009 by Alex.